Robert K. Knight was named president of Clark College in August 2007. He had been named interim president in September 2006 after serving as acting president of the college from July-September 2006. Knight, who joined Clark College in 2004 as vice president of Administrative Services, is a first-generation college graduate. He received his undergraduate degree in engineering from the United States Military Academy at West Point and earned an Executive MBA at Golden Gate University in San Francisco. He has done postgraduate work in Organizational Effectiveness at Chapman University in Fort Lewis, Washington. Under Knight’s leadership, Clark is the second-largest single-campus provider of for-credit classes in Washington's community and technical college system, serving up to 13,000 students each quarter. Clark has established co-admission agreements with Concordia University, Marylhurst University and Portland State University. The college also has a long-time partnership with Eastern Washington University, which provides degree programs on the Clark College campus. In spring 2006, Clark College became the first 100% tobacco-free campus in the state of Washington and one of the first 100% tobacco-free campuses in the nation. In 2009, the college successfully opened a new facility to serve the eastern portion of the college’s service district. Clark College at Columbia Tech Center (CTC), which earned LEED® gold certification, has exceeded enrollment projects since it opened. In 2011, the college successfully opened phase one of its new Early Learning Center, the result of a public-private partnership. A new STEM Building on Clark’s main campus devoted to science, technology, engineering and math programs opened in fall 2016, and plans are underway for a new facility to serve the northern area of the college’s service district. Knight’s partnership initiatives include strengthening the relationship between the college and the Clark College Foundation. The Clark College Foundation is a nonprofit organization serving as the fundraising partner of Clark College. Nationally recognized for excellence in fundraising and communications, the Foundation was the 2017 silver and bronze winners for feature writing and fundraising publications by the Council for Advancement and Support of Education (CASE) in District VIII and the 2015 gold winner for campaign fundraising communications. Knight previously held positions as executive vice president for sales and service for a 200-member company in the dental industry and as corporate manager for real estate, responsible for $500,000,000 in real estate for Consolidated Freightways in the trucking industry. Prior to his positions in private industry, Knight served more than 21 years as an infantry officer in the U.S. Army, retiring as a Lieutenant Colonel. His last duty in the Army was as Commander of Vancouver Barracks in Vancouver, Washington. His secondary training as an officer was as a comptroller. Knight is active in the Southwest Washington community, serving as a member of the Greater Portland, Inc., board; Washington State University Vancouver Advisory Committee; and STEM Network Governance Council of ESD 112. He was named Clark County's 2016 First Citizen, and also earned the 2016 Lamplighter Award from the Jewish Business Network of Clark County. Knight has previously served on the boards of the Columbia River Economic Development Council (CREDC), the Southwest Washington Workforce Development Council (SWWDC), the Rotary Club of Vancouver, the Boys and Girls Clubs of Southwest Washington, and the Southwest Washington Chapter of the American Red Cross, where he served as chair. He is also a member of the military academy selection committee for U.S. Rep. Jaime Herrera-Beutler of Washington's third Congressional District, and served in the same capacity for former U.S. Rep Brian Baird during his tenure. As president, Knight is "committed to providing the best possible resources and environment for our faculty, staff, and administrators to support student learning and success. At Clark College, it’s all about the student." William Belden joined Clark College as Vice President of Student Affairs in August 2010 after serving for 15 years at Green River Community College in Auburn, Washington. While at Green River, Belden worked in various capacities with the most recent being Dean of Student Services and Enrollment Management. He has spent 20 years working in community colleges, 12 of those years in college administration. Throughout his career he has committed himself to "maintaining meaningful contacts and interactions with students" and believes "all members of the college community benefit from understanding the personal strengths, challenges, and dreams of our students." He began his higher education career as a student leader at Eastern Washington University, where he served as president of the student government association. Belden served as a counselor and instructor at Northern Marianas College, in Saipan in the Commonwealth of the Northern Marianas Islands (CNMI), from 1990–1993. A majority of his time was devoted to working with federally funded TRIO programs geared toward providing academic assistance to low-income, first-generation college students. Belden received a bachelor's degree in business administration from Eastern Washington University, a master's degree in student personnel administration from Western Washington University, and a certificate in career development from University of Washington. As Vice President, Belden believes his role is to help build and support strong institutional partnerships between student affairs, instruction, and administration to support success for all students. "I am very excited to join the leadership team at Clark College," he said. "This college has a long history of providing exceptional educational programs, student services, and lifelong learning opportunities to the community." Stefani R. Coverson, SPHR, SHRM-SCP is Clark College's Vice President of Human Resources and Compliance. Before joining Clark in August 2018, Coverson served as the Human Resources Director for Seattle University. She has more than 17 years of demonstrated excellence in strategic planning and risk-analysis; collective bargaining agreement negotiation and administration; employee relations; policy development and implementation; training curriculum-development and facilitation; and change management. Coverson has significant experience with bargaining agreements from her time at Seattle University and her time as the Labor and Employee Relations Manager for Seattle Public Schools. She is also skilled at leading change and implementing new policies and at ensuring that human resources policy and procedures align with an organization’s strategic plan. She holds both bachelor’s and master’s degrees from Washington State University, as well as the Senior Professional Human Resources (SPHR) certification and the Society for Human Resource Management: Senior Certified Professional (SHRM-SCP) certification. As Clark College's Associate Vice President of Planning and Effectiveness, Shanda Diehl is responsible for Institutional Research, Grants Development, College Strategic Planning, Institutional Effectiveness, and serves as both the Accreditation and Legislative Liaison for the college. Before serving at Clark College, Diehl was the Director of Institutional Research at Spokane Falls Community College. She brings expertise and experience to Clark College in institutional research and effectiveness evaluation, strategic planning, accreditation, environmental scanning, and educational outcomes assessment. Diehl is past president of the Washington Association of Research and Planning (WARP). She led one of the eight state-wide workgroups to produce the Final Environmental Scanning Trend Document for the Washington State Workforce Education Council. She was a member of the Washington State Board for Community and Technical Colleges (SBCTC) Student Achievement Framework for Assessment and Action committee, the Mission Study Technical Group, and the Go Forward Project. She currently serves on the SBCTC steering committee for the "Lift and Shift" project. Shanda Diehl has been an adjunct instructor for business statistics. She has a bachelor of arts in sociology from Eastern Washington University and a master's degree in public health from the University of Washington. Lisa Gibert is the chief executive officer of Clark College Foundation, the fundraising partner of Clark College. Under Gibert’s leadership, Clark College Foundation’s total assets have increased by $23 million. The scholarship dollars provided to Clark students have tripled and $40 million has been distributed to the college over the 13 years that she has headed the nonprofit organization. In 2018, Gibert was selected as the one of the top fundraising leaders in the country by the Council for Advancement as Support of Education (CASE). She received the CASE Commonfund Institutionally Related Foundation Award, one of the fundraising industry’s most prestigious national honors, for her 20-year career supporting advancement work at community colleges and higher education institutions across the country. 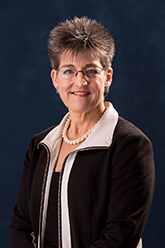 Gibert joined the Clark College Foundation in 1998, serving as the director of finance and administration, chief financial officer, and then interim president. In January 2005, she was appointed president/CEO. In 2017, the foundation’s board of directors adjusted her title to CEO, while retaining all of her original duties. As CEO she is responsible for strategic planning, goals setting and policy development, and works closely with the foundation’s philanthropic partners. She also oversees all foundation activities and staff, regularly interacts with the foundation’s board of directors and partners with Clark College’s administration to meet their fundraising needs. Gibert earned her Bachelor of Science degree in business and finance from the University of Oregon and a master’s degree in business administration at the University of California at Irvine. She is a Certified Fund Raising Executive (CFRE). Her professional affiliations include the Association of Fundraising Professional, the Southwest Washington Estate Planning Council, and Willamette Valley Development Officers Association. She is a member of the Vancouver Rotary and serves on the Vancouver Rotary Foundation Board of Directors. Gibert also serves on the Commission for Philanthropy at the Council for the Advancement in Support of Education (CASE). An accomplished equestrian, she has shown paint and pinto breeds. She and her late horse, Silent Premonition, hold have several world and reserve-world titles. 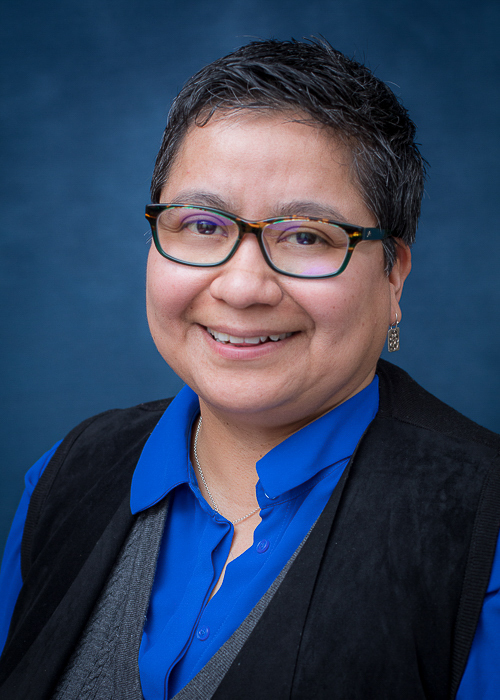 Dr. Sachi Horback was appointed Vice President of Instruction at Clark College in July 2018. Prior to this appointment, Dr. Horback served as the District Dean for Business and Social Sciences at Pierce College in Puyallup, Washington. She has over 15 years of experience in higher education both as a tenured faculty member in psychology and as an administrator, with experience in outcomes assessment, eLearning, and professional development. During her educational career, Dr. Horback has demonstrated a commitment to improving student success and providing equitable opportunities for students. In her role at Pierce College, she led focused, collaborative endeavors to grow and strengthen both transfer and professional-technical programs, utilizing expertise and knowledge within the college community and with industry partners. As an administrator and licensed psychologist, Dr. Horback has given presentations and has facilitated regional and national trainings related to equity within organizational leadership, systems thinking, assessment, and pathways. Her most recent innovation has been to spearhead the Cross-Institution Faculty of Color Mentorship Program, a successful statewide program that continues to support faculty. For her leadership, she was given the Bernice Joseph Award by the Western Interstate Commission for Higher Education (WICHE), given annually for the best academic-leadership resource developed for the WICHE Academic Leaders Toolkit. Valerie Moreno is Clark College's first full-time Chief Information Officer and brings more than 30 years of IT leadership to the college. She holds a Bachelor of Science degree in Network and Communication Management from DeVry University as well as several professional certifications, including certificates in Incident Command, Project Management, and ITIL. Prior to Clark, Moreno was the Director of Information Technology at Portland Community College. In that role, she was responsible for overseeing PCC’s network engineering, server administration, private cloud services, information security, NOC, data center, and voice teams supporting more than 87,000 faculty, staff, and students. She was responsible for daily operational oversight as well as for helping to create information-security policies and providing strategic direction for the college. Moreno’s other previous work experience includes Northwestern University in Chicago, AT&T, and QWEST Communications, among others. In the community, Moreno serves on the board of directors for Centro Cultural, a nonprofit serving the Latino community of Portland. She also has served on the board of several Chicago-based organizations, including Chicago Women in Trades and Girls in the Game, a nonprofit sports and leadership program. She was named Mentor of the Year by the Youth Job Center of the nonprofit Women Invested in Learning and Livelihoods (WILL). Bob Williamson brings more than 20 years of leadership experience to his role as vice president of Administrative Services at Clark College. Previous to coming to Clark, Williamson served as administrative services manager and was promoted to deputy director of Clark County Public Health. At Public Health, Williamson oversaw all administrative functions including budget development, financial reporting and forecasting, human resources, labor relations, facilities, information services, and grants and contract management. As deputy director, he managed the health assessment, evaluation and outreach units and served on the department’s leadership team. His management experience also includes four years as Executive Director of Educational Opportunities for Children and Families (Vancouver) and six years as director of the City of Vancouver’s Retired Senior Volunteer Program. Bob Williamson graduated from Fort Steilacoom Community College in Tacoma with an Associate of Arts degree. He went on to earn bachelor’s and master’s degrees in political science at Western Washington University. He has been a member of the Washington State Association of Head Start and ECEAP, served as chair of the Clark County Community Network, and has been active with the National Head Start Association and the Public Health Executive Leadership Forum. Kevin Witte, a corporate leader in strategic planning and marketing, is the Vice President of Economic & Community Development at Clark College. Witte came to Clark from Hewlett-Packard, where he served as director of the Worldwide Imaging and Printing Group (IPG) Go-To-Market (GTM) Talent & Development organization. In that role, he led a global team that developed the talents of the 6,800 employees who delivered $24 billion in revenue annually. At Hewlett-Packard, Witte also moved to Europe to start and manage the Europe, Middle East and Africa (EMEA) Consumer Sales Development Center. Before joining Hewlett-Packard, Witte was a product development and marketing leader for companies across the Pacific Northwest. He served as director of marketing for Pope & Talbot, Inc., which manufactured infant diapers, tissue products, softwood lumber, and market pulp in the U.S. and Canada. Witte worked in business development and marketing at Kimberly-Clark, was a trade marketing manager for Tree Top and held a director position with Curtis Burns. Witte earned bachelor’s degrees in business administration and in anthropology at the University of Washington. He continued his education at the University of Michigan, where he received a master’s degree in business administration (MBA). A resident of Vancouver for over 25 years, Witte is active in the community and currently serves as the Vice Chair on the Bridgeview Housing Board of Directors and as the Treasurer on the Executive Board of Trustees of the Southwest Washington Accountable Community of Health. Clark College Economic & Community Development is the region's premier provider of classes, seminars, certificate programs, and training opportunities, serving the residents and businesses in the Southwest Washington and Greater Portland metropolitan area. The department is dedicated to providing a variety of lifelong learning, personal enrichment, and professional development training for individuals re-entering the job world, moving up the corporate ladder, or simply interested in acquiring a new skill.